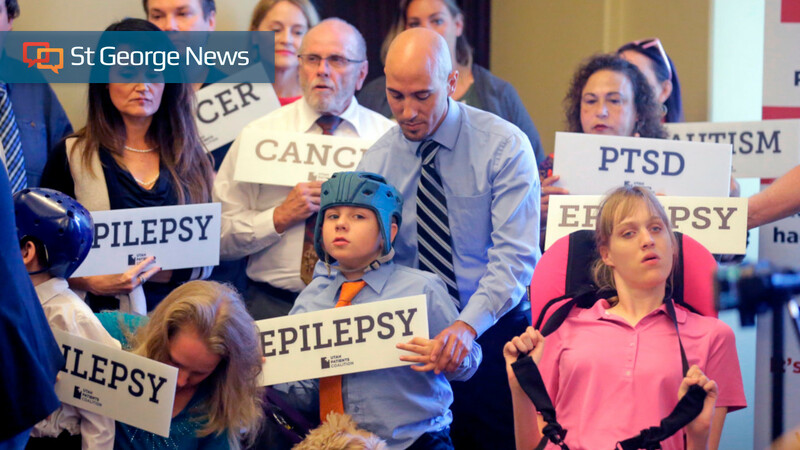 ST. GEORGE — A lawsuit filed last week asks a judge to block Proposition 2 – the ballot initiative that would legalize medical cannabis in Utah – on the grounds that it would violate religious and other constitutional freedoms if passed in November. Plaintiffs listed on the lawsuit are Walter Plumb III, a financial backer of efforts opposing the initiative and a member of The Church of Jesus Christ of Latter-day Saints, as well as anti-Proposition 2 groups the Coalition for a Safe and Healthy Utah and Drug Safe Utah. However, Plumb has said he plans to amend the lawsuit to drop the two groups and add a new one called Truth About Prop 2, according to Fox 13 News. If granted, the injunction the lawsuit seeks would keep Lt. Gov. Spencer Cox from putting Proposition 2 on the ballot. Proposition 2, also called the Utah Medial Cannabis Act, states that no property owner can refuse to lease or otherwise penalize an individual solely based on their being a medical cannabis holder. Proposition 2 would also negatively impact an individual’s religious freedom because it would force them to do business with people they would rather not, the lawsuit states. Conner Boyack, president of the Utah-based, libertarian-leaning think tank Libertas Institute, which supports Proposition 2, spoke against the lawsuit over Twitter. A Latter-day Saint himself, Boyack said Plumb does not speak for him or the church. The lawsuit also argues Proposition 2 violates free speech freedoms by blocking a property owner’s ability to ban cannabis possession and use on their property. “Utah landowning citizens have a right to express their freedom of speech through expressive conduct, including using their property to espouse their speech and beliefs by refusing to lease to individuals who possess and consume cannabis,” the lawsuit states. It also argues that Proposition 2 would make medical cannabis users a protected class while taking rights away from property owners. In addition, it states that the smell left by smoking marijuana can leave a stench within a dwelling that is hard to remove and could cause a financial burden to the property owner. At least with someone who smokes regular cigarettes, a property owner can stipulate that the smoker can’t smoke inside, pay a larger security deposit and so on. Someone renting to a medical cannabis card holder would not be able to enact those same restrictions. 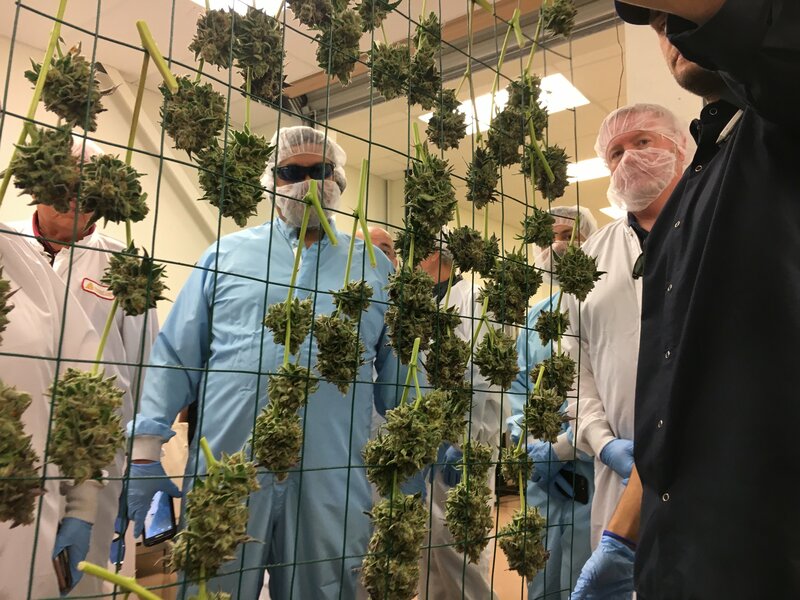 Plumb is noted in the lawsuit as being a Latter-day Saint and Utah property owner who could be adversely affected by the passing of the medical cannabis act. Opponents of legalizing medical marijuana in Utah, at least through Proposition 2, include the Utah Medical Association, Gov. Gary Herbert and The Church of Jesus Christ of Latter-day Saints. A primary argument against the legalization of medical cannabis is that it could lead to the legalization of recreational use. The church stated its opposition through a legal analysis of the ballot initiative conducted by the Kirton McConkie released in May. Church officials said the analysis “raises great concerns” about the consequences the initiative may have if passed by voters. The church has declined media requests for comment on Plumb’s lawsuit. So when Opioid drugs were praised by the state’s medical professionals years ago as an “answer to a number of our citizens ailments”, look at what now has happened to opioid addiction in Utah. ….I’m getting more and more repulsed by this church, and, I clearly support the medical marijuana initiative. I spent almost a decade wrapped up in a painkiller addiction and had to go through rehab just to get off of them. That’s nearly 10 years I won’t get back. But I’m glad I kicked the pills. That’s no way to live. Now I use different forms of cannabis to ease pain and curb anxiety. I’ve all but given up on waiting for Utah to wake up and get with the times. I don’t care if they consider folks like me “outlaws.” I’m not hurting anyone. Unfortunately, Utah isn’t a state run by the people. This is a state run by a church that seems to think only Mormons live in Utah and should only be represented. They are desperate because they know people have made up their minds to support medical cannabis. And the Mormon church has deep ties to the pharmaceutical corporations up there at the U of U. They obviously have numerous reasons to object($$$). But it doesn’t matter. The green high tide has already come in and it’s spreading all over the country. You’re not an outlaw, you’re a survivor and you’re to be lauded for your bravery and determination. Hope all the best for you! Wow…am I surprised about this? Absolutely not. I guess pharmaceuticals are better because your doctor and the bishop told you so??? We have an opioid epidemic in this state. The use of anti depressants for all your mormon soccer moms (to cope with 10 children and a chauvinist husband) is ok and church approved right?? You people are so totally brainwashed it is beyond comprehension. I guess you want to let people with Epilepsy, Cancer, Parkinsons and a whole slew of other illnesses suffer?? Yeah you are the church of love and acceptance. What you are is a disgrace to humanity. No one organization should have this kind of power. Especially a religious one. This just makes me sick and drives my disgust for this cult to the next level. So it violates your rights you say?? Then DO NOT TAKE CANNABIS you damn sheeple morons!!! What’s next? Alcohol violates you rights too??? Are we about to become a dry state next??? You people disgust me, with how you are taking OUR (not only your) state in more and more of a backward direction. Are you afraid your members will all get high and have an epiphany? One that your faith is nothing more than a fraud? Go back to the bible thumping midwest where the hell you all came from and leave Utah alone. Sorry for my bluntness, but I am so tired of the Mormon … around here. There are other people that live here too. Have some … respect for people with views other than yours…. Before you say it: NO, I’m not going to move out of state, because I don’t like the LDS death grip around here. that’s exactly what the church wants. Utah is going, kicking and screaming. It’s not a good look. We need to put this nonsense out of it’s misery and do it Federally. One more thing, if you have not figured it out, I am a damn proud supporter of the medical cannabis act, not only that but I support recreational Cannabis too. I can only hope this passes and the Mormon church takes another one to the chin. Maybe all the Californians moving in is not all bad. before you label me as a a Libtard, I am not even close to being one. I just believe in one’s freedom of choice, you are creating socialism in this state, Mormons….the very thing you you hate so much…supposedly. Let’s all take a bow and congratulate the “Brigham club” for their valiant efforts to contribute our society at large (insert sarcasm here). Agreed on all but one count. Mormons aren’t creating a socialist state, they’re trying to keep the fascist one they’ve known for over a century alive. Walter Plumb is a lawyer that owns a pharmaceutical company. Seems kinda funny that information so pertinent to this story was left out of it. His use of religion is just an excuse to protect his own financial interests. I hope he gets what he deserves. No worries folks as this lawsuit has no grounds and will not succeed. This guy is an idiot. Prior to 1915 Mormons smoked Cannibis first off, and brought it in from Mexico. So if tomorrow the Mormon church bans chewing tobacco like Copenhagen, which is also a mind altering substance if you’ve ever tried it, (yuck – PE coach would make you swallow it, if caught back in the day) then it becomes ridiculous. Even if a lower court surprisingly rules in his favor it will not hold to higher scrutiny up the judicial chain. Such stunts, and this is a delay stunt no doubt, really puts the LDS Church in a bad light, just as their racist stance on blacks back in the 60s, attacking women that challenge church doctrine,, as well as intolerance of LGBT folk do as well. But in this case it is an attack against the rights of non mormons that live in Utah which pisses off a lot of people regardless if you don’t use pot as I do. More reason for Mormons to alienate and lose members. However does this guy represent the Mormon Church or is a proxy thereof? Who knows, but it sure smells of team spirit. No worries. So you’re against “whole plant” Marijuana but not FDA approved CBD oil? What’s the difference? So you don’t want to rent to people who smoke pot? Don’t rent to people who smoke pot. “A primary argument against the legalization of medical cannabis is that it could lead to the legalization of recreational use.” And??? I can’t think of a single person who has died from marijuana. On the other hand I can think of many who’ve died because they OD’d on completely legal, FDA approved over the counter medications. What I’m supposed to is the ballot language. It makes those who use medical marijuana a PROTECTED CLASS. That violates my constitutional right as a renter to tell someone who smokes MJ to smoke outside. I believe people are entitled to do and live as they please, and I don’t believe that government should legislate morality. The only time government should get involved is to protect the rights of people. People who are sick have a natural, God-given right to live a pain free existence. I will vote YES. You’re absolutely right, the government should get involved to protects the right of people… like patients. First, Patients ARE a protected class. Landlords are not. You can’t ask a potential renter what their medical background is. If you want to refuse them, find another reason. Utah law allows plenty of opportunities for that. Secondly, Prop 2 does NOT legalize smoking of cannabis, so this is a ridiculous argument anyway. If they’re smoking, they’re breaking the law, even under Prop 2. You can refuse leasing to them because they’re smoking (regardless of what they’re smoking). For you to vote “no” because of the reasons you posted, is silly. They are “sky is falling” excuses that don’t hold water.